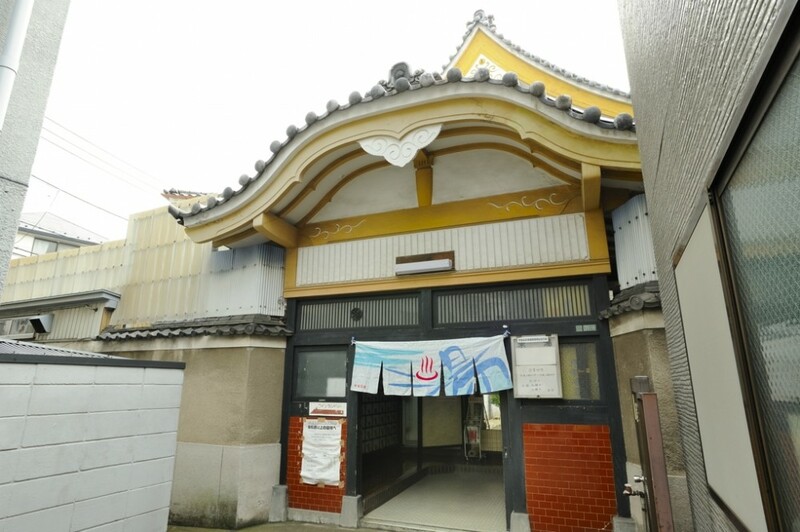 On April 9, 2019, Sakae-yu closed. 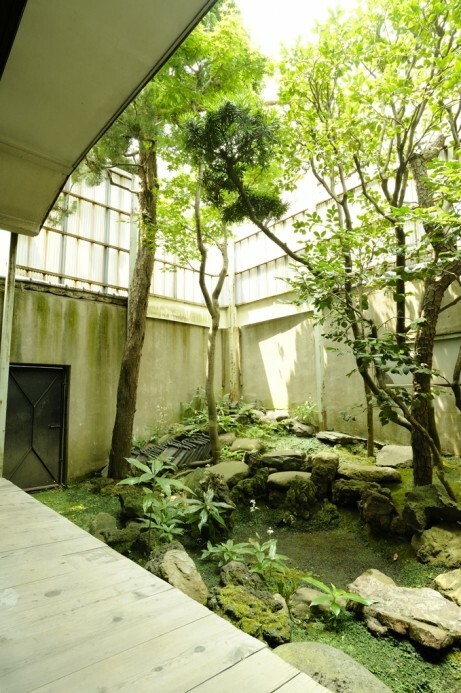 Traditional shrine style architecture is a symbol of SAKAE-YU. 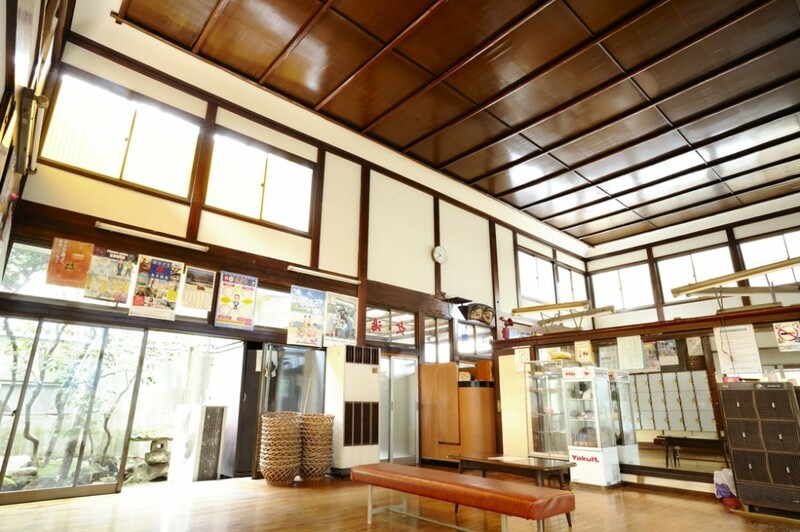 Upon entering it, one is faced with a space with old nostalgic beauty extending out in all directions. 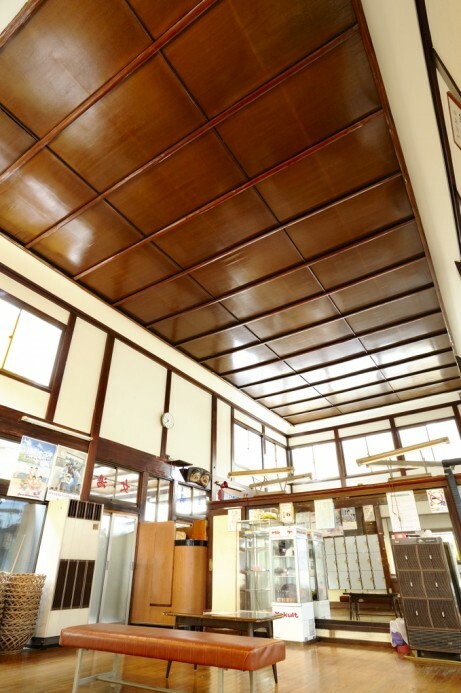 By using the coffered ceiling in shrines and temples, the high and wide feeling is exhilarating. 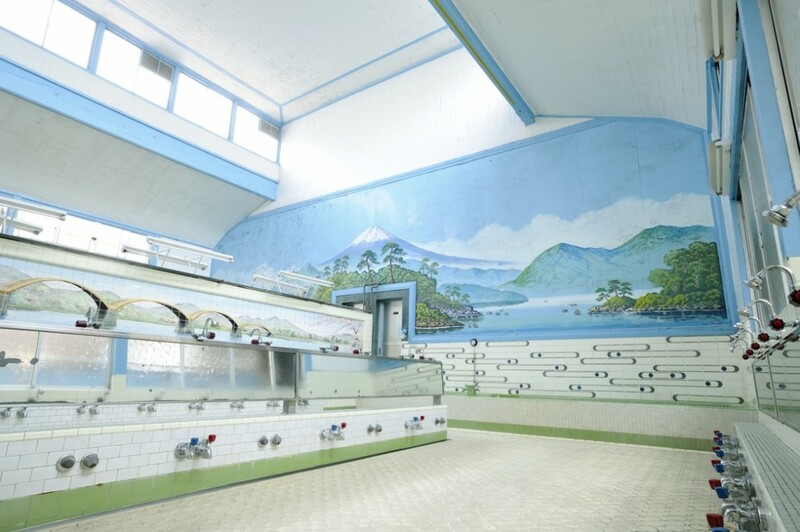 The clean dressing room has traditional floors made of wood. Being exceptionally clean, the cool feeling of walking on it with bare feet is addictive. 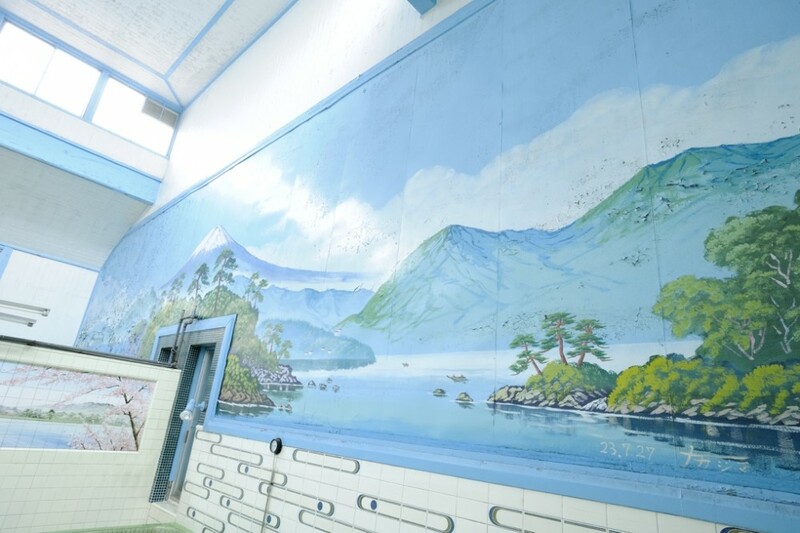 The bathroom walls are the work of public bath painter, Nakajima Morio.